Greenbrier High School’s Dyanah Rippeto has signed to play at Central Baptist College. Central Baptist College Head Softball Coach Jordon Jones recently announced a second signee. 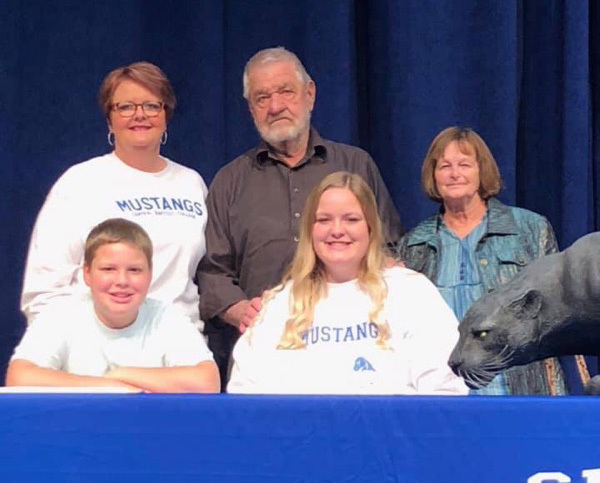 Dyanah Rippeto will join the Mustangs this fall as the newest member of the softball team. Rippeto, a first baseman from Greenbrier, has been a member of both the 2016 state runners up in 5A and the 2018 5A state champions for the Panthers and has also received the highest academic honors achievable at Greenbrier High School.